Available now in the App Store as a free download with in-app purchases for additional content, Wonderscope uses ARKit to place content, which users can then interact with in the app's camera view. "Millions of kids use screens as much or more than adults, and they often do it alone," said Chris Milk, CEO of app developer Within, in a statement. "With AR, we see an opportunity to change that dynamic. Rather than disappearing into our devices and shutting out the world, Wonderscope promotes a new kind of screen-positive experience, one that opens you up to everything and everyone around you." The experiences available at launch include "A Brief History of Amazing Stunts by Astounding People," which brings to life three historical adventurers and their feats. Users can see Betty Bromage, an 88-year-old grandmother who stood on an airplane's wings in mid-flight, Helen Gibson, the first stuntwoman in Hollywood, and Charles Blondin, the first tightrope walker to cross Niagara Falls, and recreate their death-defying stunts. Another experience retells the Little Red Riding Hood story for modern times. Here, Red is an inventor, and children can help her build contraptions to foil the Big Bad Wolf. Kids will also be able to use their own voice to assist Red. While the former is available for free, the latter story costs $4.99, with more content available for purchase in December. "As a parent, I'm excited to release an app that builds confidence through reading," said Samantha Storr, executive producer of original content at Within. "We're utilizing augmented reality to let kids interact with aspirational characters, while actively playing and talking. Our stories tap into children's natural inclination to learn by doing, and they get the added joy of helping characters along unique journeys." 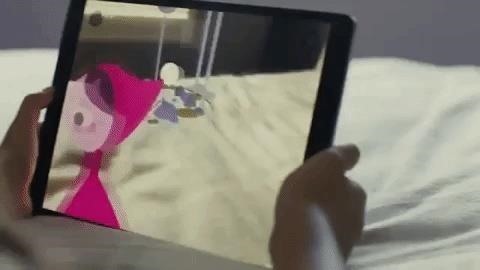 In addition to ARKit, Within has deployed its own voice recognition technology with the app. As children read passages aloud, the voice recognition system uses locally-stored machine learning models to trigger content actions. "It's crucial that we don't wait for cloud-based voice recognition, which can leave users feeling like they're talking to a robot," said Within CTO Aaron Koblin. "Our low-latency system adds to the subconscious magic and smoothness of the experience." 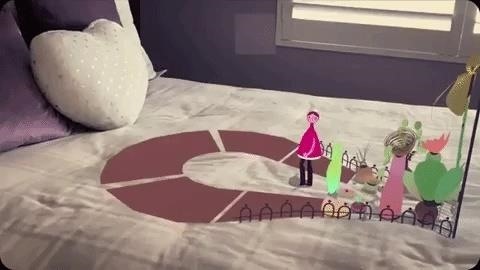 The app can react to children's movements as well. The "Look At" feature simulates eye contact between readers and the virtual characters, furthering the reader's engagement with the story. 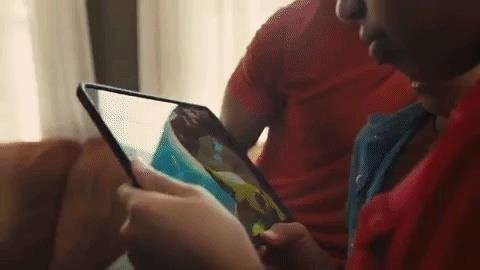 These kinds of apps are beginning to demonstrate the potential for the children's section of the AR market, where mobile apps are quietly replacing physical toys for hands-on entertainment for kids. While children's book sales remain robust, AR provides new opportunities for telling stories to children. In another example, Bookful hit the App Store last week with a similar premise by bringing classic children's stories such as The Tale of Peter Rabbit and The Tale of Benjamin Bunny to life in augmented reality. Wonderscope and Bookful both arrive just in time for the holidays, when iTunes gift cards are likely to find their way into homes as stocking stuffers.